Services available on the Princeton Health campus include appointments with clinicians who specialize in transplant care and are familiar with the unique needs of transplant patients, transplant evaluations for new patients, and pre-transplant appointments for established patients. Most people are able to return to their daily routine within three months after the transplant, and many of them even earlier. 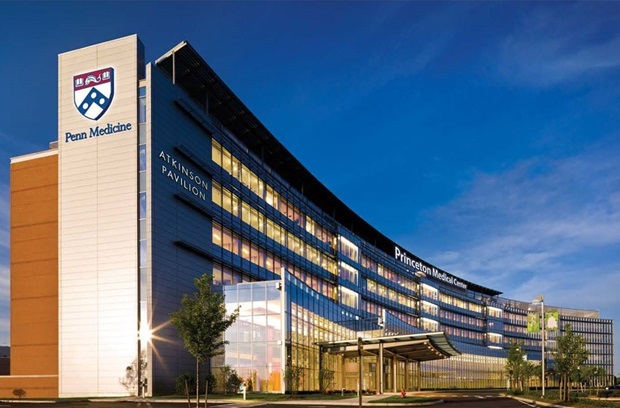 Penn says it performs the most liver and kidney transplants in the region, with outcomes that consistently meet or exceed national averages, and Penn Medicine’s living donor program is the most experienced in the greater Philadelphia region. While primarily committed to patient care, the liver transplant team is also actively engaged in clinical and laboratory research designed to improve survival and quality of life for transplant recipients. The program’s goal is to provide the best care and restore each patient to a full and productive life. “The waiting time for an organ has increased dramatically as the demand for livers far outweighs the supply,” says Penn. Also, because of the high risk of death for patients with end-stage liver disease while waiting on the list, the United Network for Organ Sharing (UNOS) has developed a scoring system based on several factors, the most important being severity of illness. Other factors include blood type, the number of other patients listed within the local area and the region. Liver transplant support group meetings are open to pre- and post-liver transplant patients, living donors, and caregivers. The support groups meet on alternating Tuesdays at noon in the West Pavilion of the Perelman Center for Advanced Medicine in the Perelman Conference Room on the second floor. For more information or to make an appointment with the Liver Transplant Program, call 215.662.4554 or visit www.pennmedicine.org.